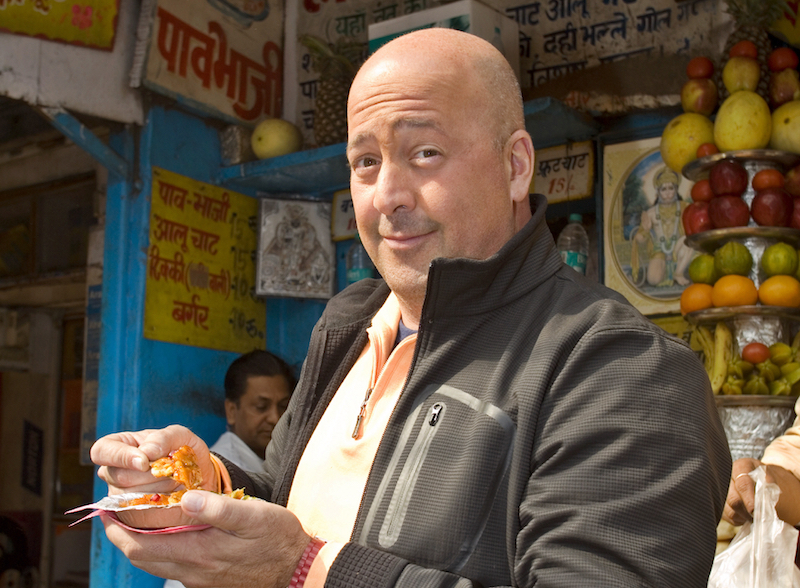 Andrew Zimmern is an American chef, food writer, and television personality. He is perhaps best known for being the host and co-creator of Bizarre Foods with Andrew Zimmern. This week’s travel quote—“Please be a traveler, not a tourist. Try new thinks, meet new people, and look beyond what’s right in front of you. Those are the keys to understanding this amazing world we live in”—is informed by the years Zimmern has spent exploring the world’s oddities. Zimmern was born in New York, the child of two globe trotters who took he around the world. He took up cooking at a young age, and by his early 20s he was helping in the kitchens of some of New York’s best restaurants. Unfortunately, drug and alcohol addiction sidetracked his career, and for a brief while he was homeless. 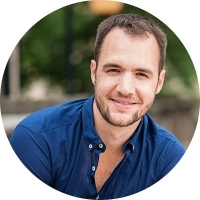 Eventually, he started a new, sober life in Minneapolis, Minnesota. Slowly working his way up from dish washer to executive chef, Zimmern went on to develop a series of highly-acclaimed restaurants. Along with culinary success, Zimmern also because something of a local media celebrity, which eventually led to his involvement with Bizarre Foods with Andrew Zimmern, a television program that highlights non-traditional foods from around the world. I share Zimmern’s belief that engagement is one of the keys to escaping the disappointment-laden experiences by which most tourists seem to be plagued. Engage the locals in conversations, try new foods and drinks, and explore streets and squares not included in your guidebook. While this may seem obvious, it’s so easy to wander to safe and familiar things when you’re traveling. After all, for a long time that’s tourists wanted—a slight variant on their lives at home. But times have changed. 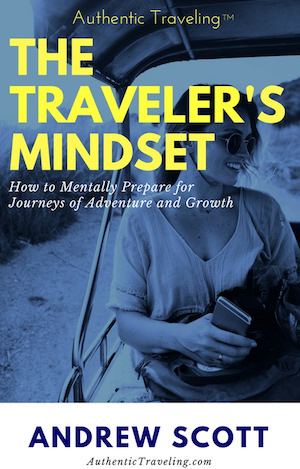 Thankfully, many of today’s travelers are more interested in growth than comfort. They want to engage with the real world, not a Disneylandesque version of things. And considering the turbulent political times we live in, I’m encouraged to see so many people eager to better understand other peoples and cultures. 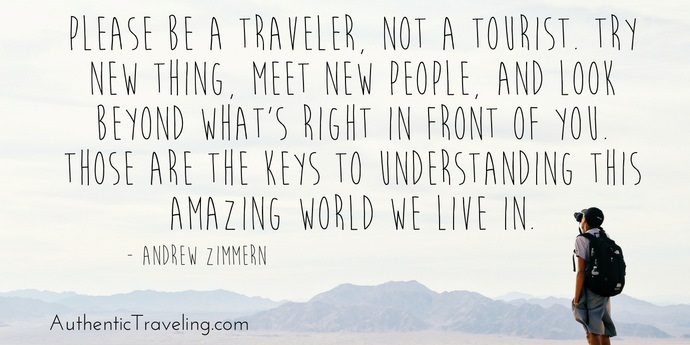 Next time you travel, remember Andrew Zimmern’s advice and become a traveler; you won’t regret it.